Following spine surgery, the majority of patients report moderate to severe pain that lasts at least 3–4 days. This pain can be severe and debilitating affecting recovery and discharge from the hospital. This can prolong hospital stays and increase the costs associated with care. Multimodal pain management is the most effective to treat the pain. The multimodal techniques are divided into those given preoperatively, intraoperatively, and postoperatively. The techniques used involve a combination of neuraxial and oral/intravenous medications. Neuraxial analgesia is the most effective for pain management and is often superior to systemic opioids. 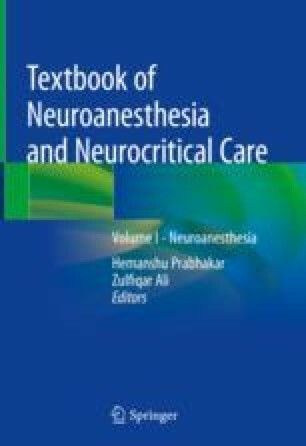 Use of neuraxial anesthetics has synergistic potential with the systemic opioids. Opioids are often initially delivered via a patient-controlled analgesia (PCA) or neuraxially, but they are transitioned to oral medications as tolerated. Adjuvants that can be used include nonsteroidal agents, acetaminophen, dexmedetomidine, corticosteroids, ketamine, and gabapentin/pregabalin. These adjuvants help limit the side effects of opioids. Treatment is challenging in these patients because many are not narcotic naïve. Use of multimodal analgesia is important to helping these patients.